Well these pancakes are delicious. I don’t know what else to say. They are light and fluffy, but hearty at the same time. 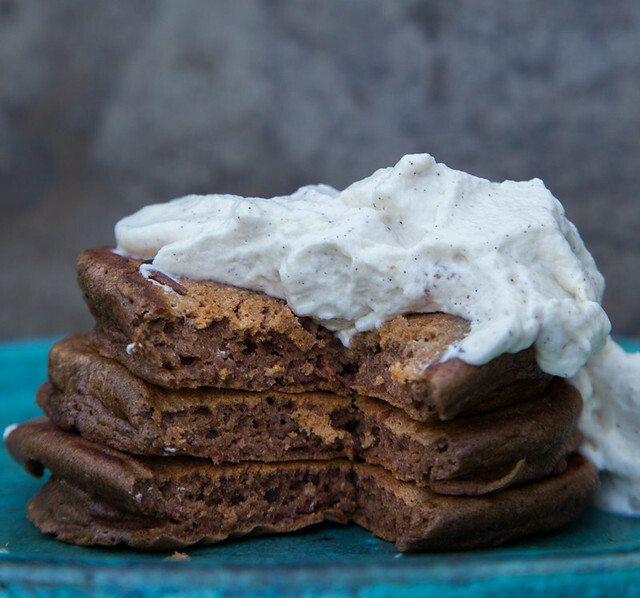 It all started with a dream and a picture in my mind of beautiful chocolate porter pancakes. *sigh* Doesn’t the name just roll off the tongue and sound delicious? So I scoured the internet looking for the perfect recipe, found this one from the Beeroness which looked promising, added some Latin Flair Hot Cocoa and voila! Chocolate Pluff Mud Porter Pancakes! I made my dreams come true and so can you. Separate your eggs, putting the whites into the bowl of your stand mixer and the yolks into a small bowl. Add cream of tartar to the whites and beat on high until stiff peaks form ~ about 5 minutes. Add the beer, buttermilk, and vanilla to the yolks, beat well to combine. In a large bowl throw together flour, cocoa, baking powder, and baking soda. Add the yolk mixture and stir until combined. Gently fold the egg whites into the pancake batter. Heat up and butter up whatever surface you may be cooking on, throw 1/4 cup of the batter on at a time. When bubbles form on the top, flip that puppy over and cook until browned on the underside. 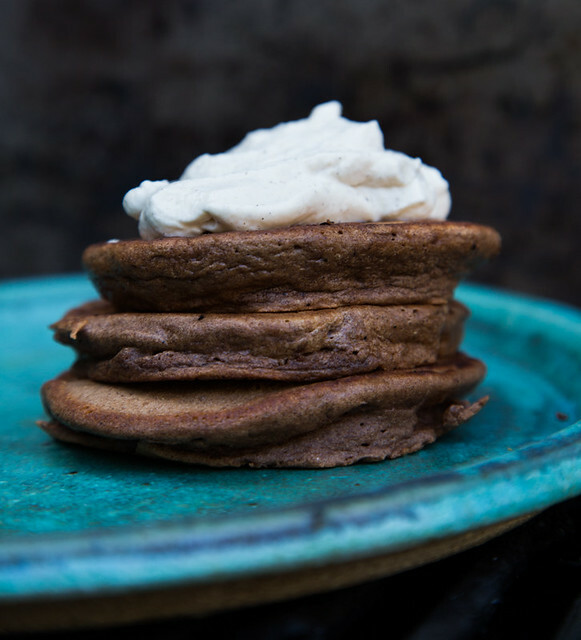 If you want to go over the top with a boozy theme serve these pancakes with Vanilla & Baileys Whipped Cream or any other topping your imagination can whip up. Stay sweet, friends, and always follow your dreams.